Maruti Suzuki has launched the facelifted Baleno hatchack in India and the prices start at Rs 5.45 lakh, ex-showroom Delhi. Maruti Suzuki Nexa dealerships across the country had already started accepting the bookings of the 2019 Baleno. We believe the deliveries should start in the first week of February across India. Since the updated Baleno is cosmetic in nature, the powertrain options have been carried over from the previous without any change in the state of tune. The changes done to the 2019 Maruti Suzuki Baleno include a reworked grille that give the front a wider stance, fog lamp garnish and new smoked finish two tone 16-inch alloy wheels. The rear profile has been left untouched, Also, in terms of dimensions and ground clearance, there are no changes compared to the previous offering. The overall cabin design is similar, however, the updated iteration comes with new seat fabric and black and navy blue dual-tone interiors. Additionally, it gets the new-generation Smartplay Studio infotainment system with a new 17.78cm touchscreen unit. Maruti states that this system offers smartphone, vehicle and cloud-based services such as music, news, weather updates and also locates eateries. 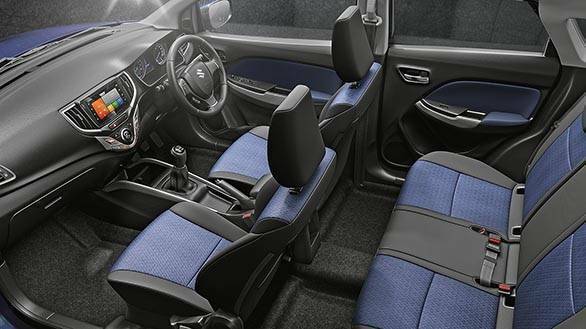 We believe it is identical to the unit offered in the recently launched new-generation Maruti Suzuki WagonR. 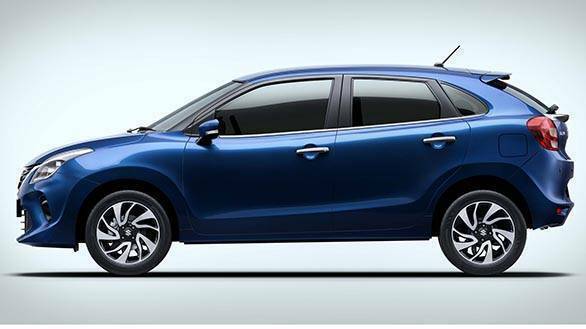 The new Baleno will offer additional safety features like speed alert system, co-driver seat belt reminder and rear parking assist sensors. These are over and above the standard dual airbags, child seat restrain system (ISOFIX), Pretensioner and force limiter seatbelts and ABS with EBD. Mechanically, the Baleno will possibly continue with its 1.2 litre petrol and 1.3 litre diesel engine options. The diesel motor puts out 75PS and 190Nm while the petrol motor makes 84PS/115Nm. A five-speed manual and a CVT are the two transmission options. The Baleno is based on Maruti Suzuki's Heartect platform. 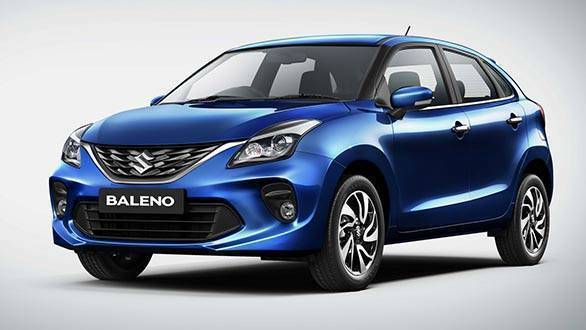 Maruti Suzuki mentions that since 2016, Baleno has featured among India's top selling cars. With a 14 per cent growth in the first nine months of 2018-19 over the last year, the Maruti Suzuki Baleno achieved a record sales of five lakh units within a record time of 38 months. With cumulative sales of over 5.2 lakh units, Baleno holds over 26 per cent of market share in the A2+ segment. The facelifted Baleno locks horns with the Hyundai Elite i20 and the Honda Jazz in the premium hatchback segment.